ACT Property Group provided an update at the August Public Meeting of Council. The images here are the preliminary designs only and may well change for the final design. · The feasibility study was carried out in 2012. 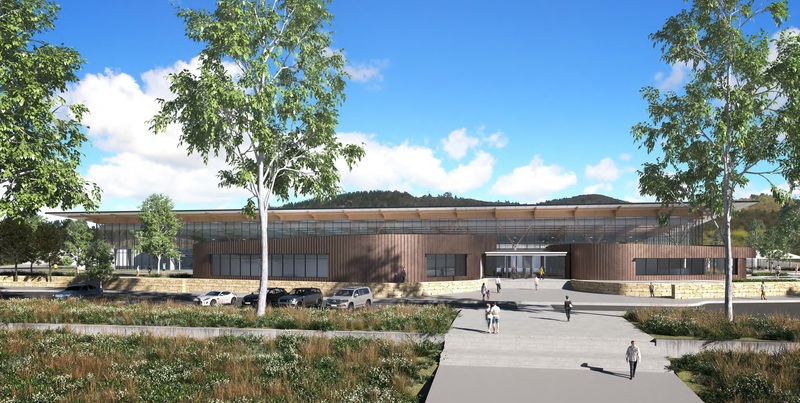 · An ALP 2016 election commitment was $33m for a 50m pool and a program pool in Stromlo Forest Park. · In 2017, there was community consultation on what other facilities people would like. · In February 2018 the government added $3.6m to include a 950m2, 24 hour access gym/health club, leisure pool (including toddlers pool), a splash park and increased seating. 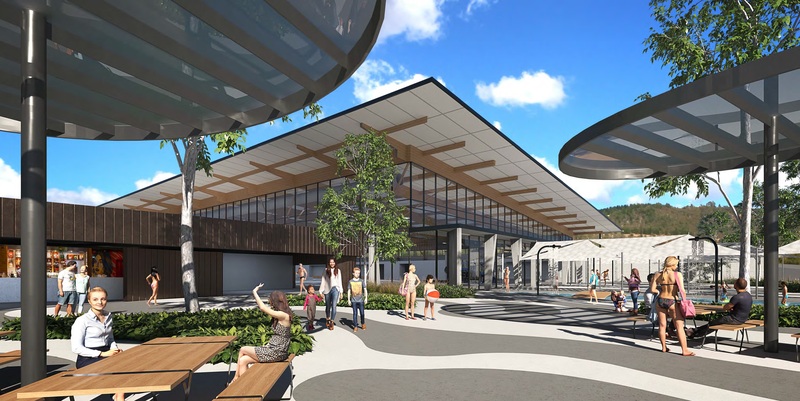 · The facility will be built on an overflow carpark. · The successful tenderer was KANE Constructions and the lead architect is Cox Architects. · Phase One was design approval from the National Capital Authority (July 2018). · Phase Two was the building approval and construction (July 2018). 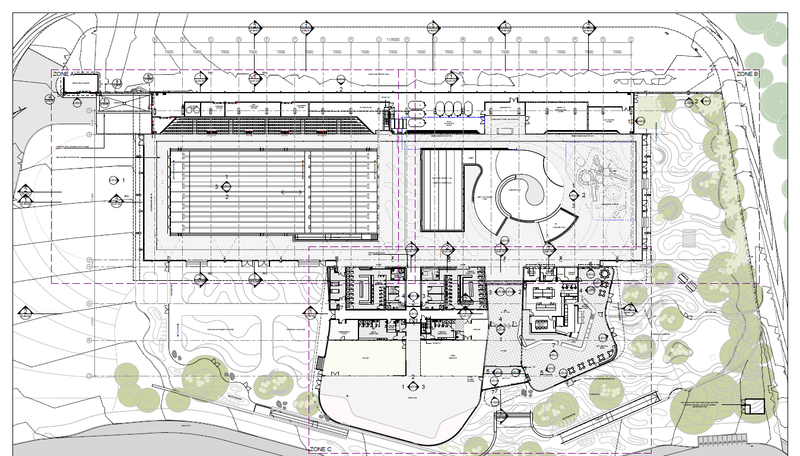 · The design includes an eight lane 50m lap pool, a five lane 20m program pool with a moveable boom, gym/health club, leisure pool (including toddlers pool), a splash park, seating for 500 people, a crèche, sealed parking for 200+ cars, extra unsealed parking, an inside/outside café, public toilets, an adult change room with an adjustable hoist and a family change room. · All will be accessible. · There will be acoustic systems inside to lower the noise. · ACT Property is currently working with TCCS to get a bus stop at the facility. · The official sod turn by Deputy Chief Minister Yvette Berry, MLA is 13 September 2018.